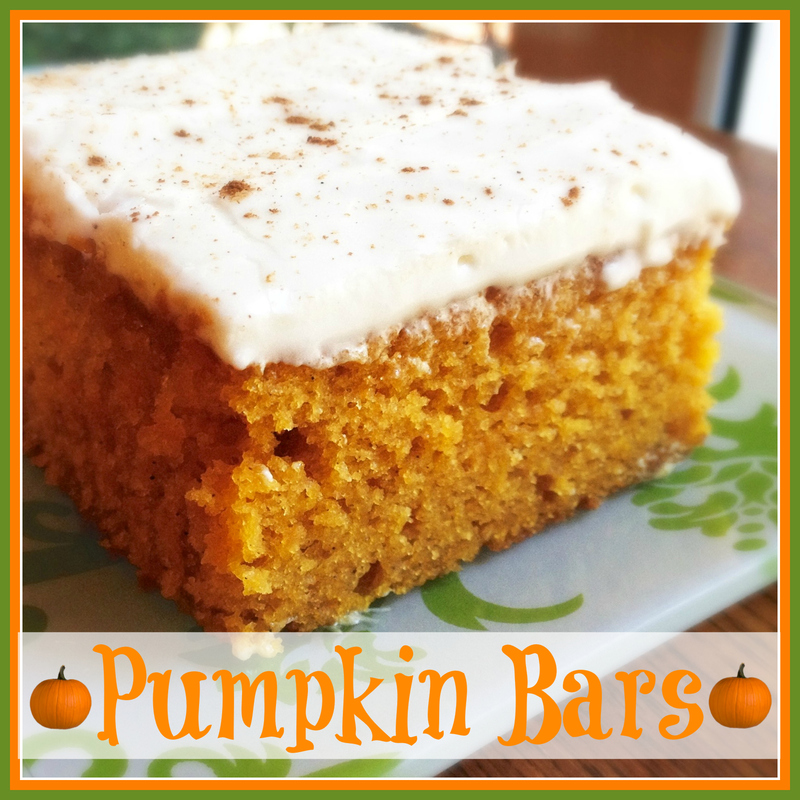 Perfect Pumpkin Bars~ – Who Eats Like This? Preheat your oven to 350 degrees and grease a 16” pan. Mix together all wet ingredients. Slowly add in dry ingredients until batter is smooth. Pour into prepared pan, bake for at least 30 minutes or until a toothpick inserted in the center comes out clean. While bars are baking, mix together the cream cheese, butter and sugar. Slowly add the powdered sugar until mixture is the consistency you want! Once bars have cooled good, spread the frosting over and enjoy!